EarlyWorks is recognised as the most feature packed documentation and programming software package on the market. Here is a summary of what EarlyWorks can provide for your service. EarlyWorks caters to a wide variety of observation styles including learning journeys, running records, anecdotal records, jottings, time samples, child notes, photo journals and more. Observations (group & Individual) are easily created with a simple input process that ensures that each child’s learning and development is being assessed as part of an ongoing cycle of planning, documenting and evaluating. Experiences can be planned or spontaneous, catering for each child’s learning and development. Programmed experiences can be linked back to observations and journal entries, allowing educators to concentrate on delivering excellence in practice rather than paperwork. Create professional daily or weekly photo journal entries for each room in your service. Families will delight in seeing their children engaged in meaningful learning experiences. Photos and documents can be easily uploaded and shared. Families can share photos and documents from home, and educators can share documents, and where permission is granted, photos from the service. EarlyWorks enables easy access to children’s portfolios of observations, journals, images and family communications in just one click. View children’s current learning, areas of strength and progression towards goals. Having each child’s individual documentation in one place allows educators to easily reflect, evaluate, and plan for each child. As educators continue to observe children, their profile grows and becomes a complete learning summary which includes family input and communications. Customised dashboards cater to the requirements of specific roles such as managers, team leaders and educator assistants. Alerts and notifications ensure programming and documentation cycles and contributions are completely transparent to all levels of management. Educators’ dashboards provide specific insight and alerts on a room by room level. Educators communicate to families details of children’s meals, portion sizes, bottle times and quantities, sleep times, nappy changes and other day book style information. Communication details can be entered for a group or for an individual child. Daily communication with families about their child’s day enhances trust and helps to build respectful supportive relationships. Educators, administrators and families can keep track of birthdays, special events, tasks and excursions. Pre-populated regular tasks such as emergency evacuation, first aid box checks and evacuation bag checks allow services to allocate these regular compliance tasks. Tasks and events can be viewed from the EarlyWorks event calendar. Regular reflections of pedagogy are crucial in supporting continuous improvement within services. 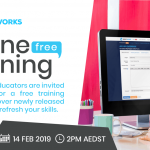 Using EarlyWorks, educators can reflect on educational principles and practices as well as all areas of the National Quality Standards, relating them to their own personal evaluation of practices and implementation of the curriculum. Ongoing reflection and professional development are captured to create a clear picture of the educator’s journey throughout the planning and programming cycle. Your service’s entire Quality Improvement Plan (QIP) is produced within EarlyWorks at the click of a button. Evidence to support the service’s QIP is automatically generated based on the information already entered into EarlyWorks. CCMS Integration via our CCSS Approved Integration Partner, SmartCentral. No double entry with data automatically and/or manually synchronized across both applications. EarlyWorks allows you to customise your display with your service’s logo and custom skins. Send us a high-resolution image of your logo and our designers will create a co-branded logo including our ‘Powered by EarlyWorks’ mark. Our design team can also tailor the look and feel of your EarlyWorks app with custom skins to match your service’s aesthetic for cohesive branding on and offline. Families have real time access to detailed information about their child’s day. Families can view and contribute to their child’s online portfolio at any time. 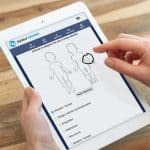 EarlyWorks allows families to have access to important documents such has handbooks, policies and the Quality Improvement Plan at any time and from any device with internet connection.